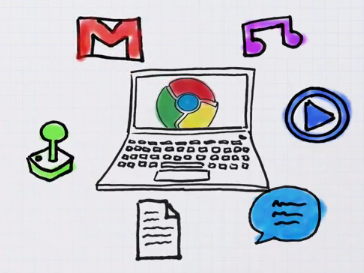 Google Chrome OS Netbook Set For 7th December Launch? According to Engadget's sources, Google is all set to launch the first netbook with Chrome OS on 7th December. There is a Chrome launch even on 7th December, which points to a distinct possibility that their source might be true. The rumor that has been going around for a few days that Google is launching the Chrome App Store very soon and yesterday's release of Chrome 8 with support for web apps all seems to point towards the Chrome OS launch. However it seems like the netbooks running Chrome OS will not be available for purchase yet. Google has reportedly made only 65,000 units which will be made available only to Google’s closest “friends and family" for beta testing. This is not surprising because in the past this is exactly the same way they tested the Nexus One and reportedly the Nexus S now. The OS is reported to be quite beta-ish and non-consumer friendly right now. So, it may be some time till we see Chrome OS Netbooks in the market.